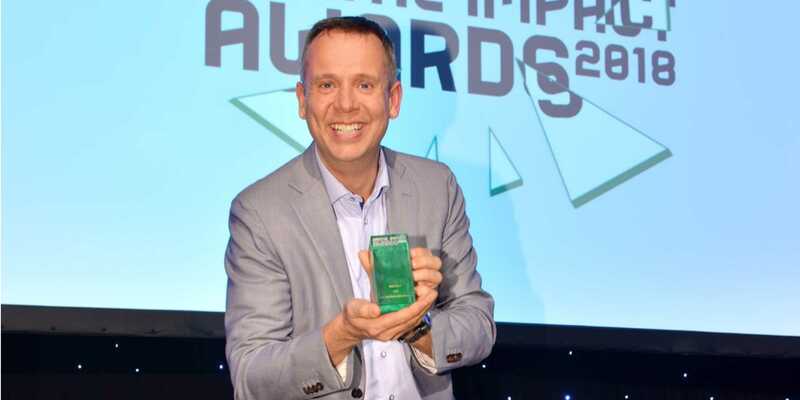 Two times gold at the Digital Impact Awards in London! 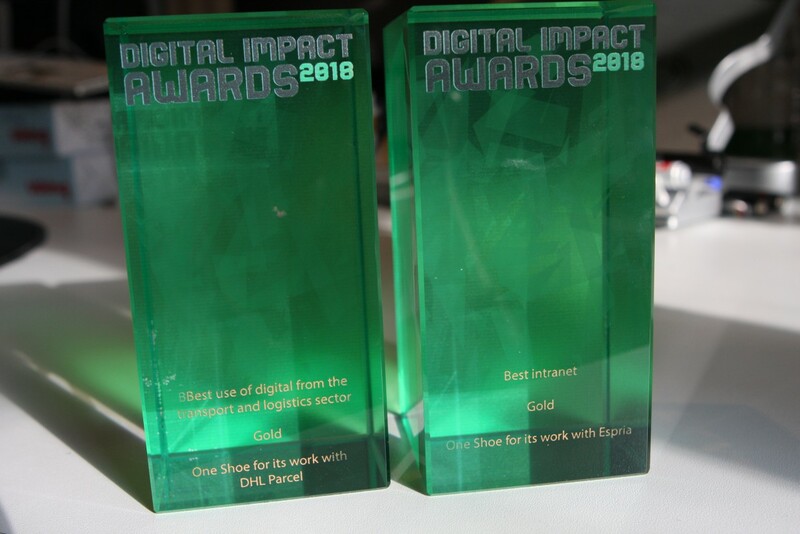 Our work with Espria and DHL Parcel was awarded gold twice at last week’s Digital Impact Awards in London. This achievement at the ninth annual awards recognises One Shoe’s excellence in digital communications. The Digital Impact Awards benchmarks digital communications in the corporate space. In addition to One Shoe also Accenture, LEWIS Global Communications, Publicis.Sapient and TMW Unlimited were among the winners this year.